Twitter has apologized for failing to delete a violent threat sent to political analyst Rochelle Ritchie by Cesar Sayoc Jr. 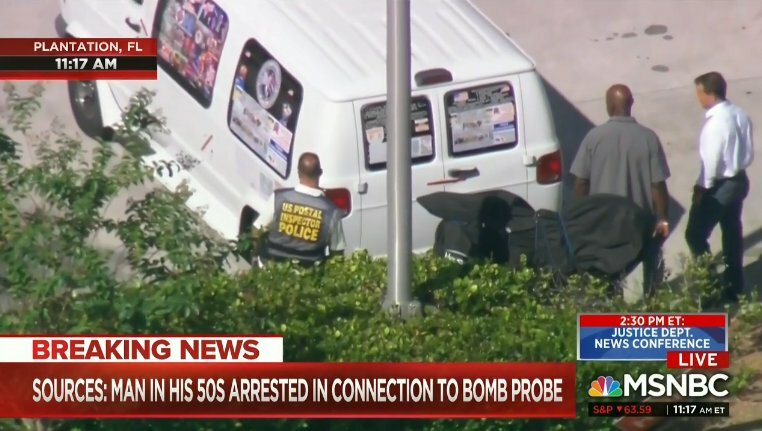 The tweet in question was finally removed, along with the rest of Sayoc's suspected Twitter activity, after he was charged with multiple felonies related to mailbombs send to high-profile Trump critics. 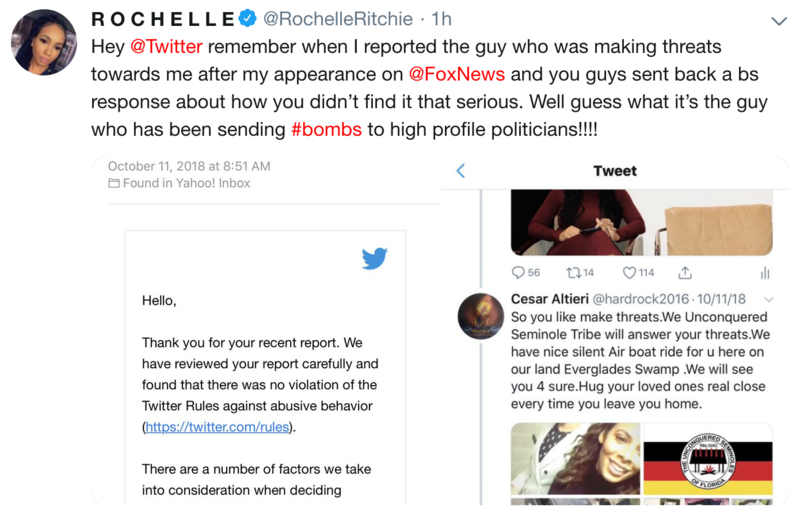 Rochelle Ritchie, a "moderate Democrat" strategist and talking head, was threatened on Twitter by the account linked to suspected mailbomber Cesar Sayoc Jr. She complained about it to Twitter, and Twitter told her to go pound sand. Hey @Twitter remember when I reported the guy who was making threats towards me after my appearance on @FoxNews and you guys sent back a bs response about how you didn’t find it that serious. Well guess what it’s the guy who has been sending #bombs to high profile politicians!!!! I don't know anything about Ritchie's politics you can't read from her personal profiles, but anyone left of Mussolini who goes on Fox News nowadays is sticking their neck out in a way we don't generally appreciate. 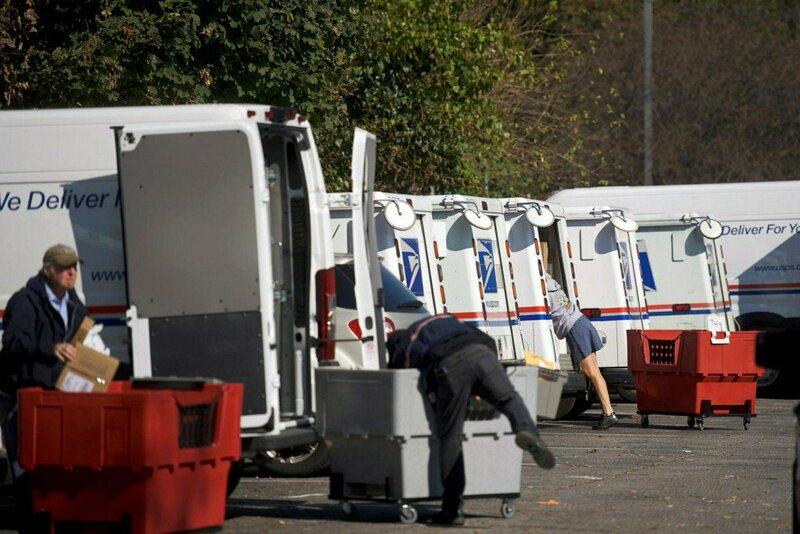 Rochelle Ritchie complained about suspected mailbomber's threat .